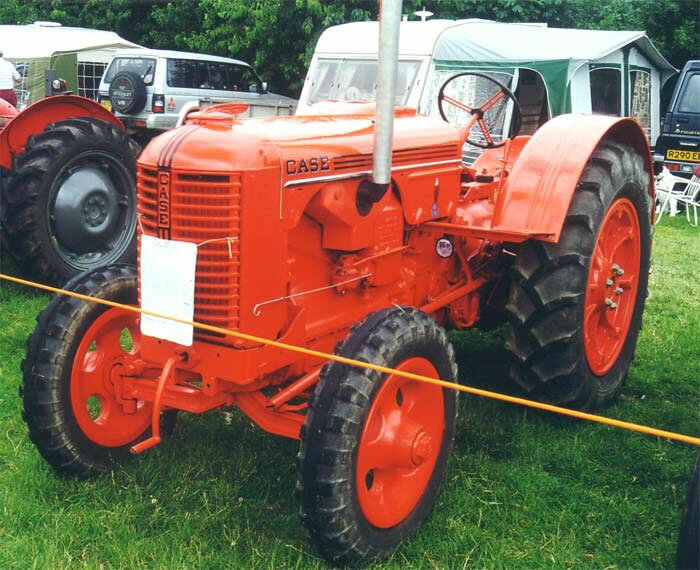 The Case Model DEX was a member of the Case D series which replaced the C series in 1939. Over 100,000 units of the D series were built until the end in 1953. The DEX versions were in production from 1940 to 1952. The early models had hand clutch on the drivers right, it changed to the left from serial number 4405303 and was replaced by a foot pedal in 1953. In 1940 several changes were made which included a lowered platform, relocated brake pedals, larger dash, relocation of the clutch lever, 112 tooth ring gear, new starter, new seat and mud guards. Other notable modifications were as follows: Single disk brake in 1941, new gear pattern and clutch assembly in 1944, hydraulic system, heavier spindles in 1949, the bonnet replaced during 1951, the brake pedals were both moved to the right and dual brakes were added in 1952.